Seven years ago a job site for female millennials launched. It was called The Daily Muse. Fast forward to now – there was a name change (The Muse), an injection of $30 million, massive growth, and voila! The site now employs 120 people and attracts 75 million users. Oh, and it’s not just for women now – it’s for all young professionals. The site was founded by ex-McKinsey analysts Kathryn Minshew, Alexandra Cavoulacos and Melissa McCreery, and from the beginning it had a very specific focus: Detailed profiles of each employer and interviews with current staff, all conducted and written by The Muse’s internal staff. So, in essence, it was a job board that put employer profiles front and center, with a (very) glossy design and LOTS of detail. And, of course, job listings. The Muse sells these services to employers as annual subscriptions, starting at around $20,000 and up. (Yep, profiles, videos, and interviews don’t come cheap). While the rest of the job board industry chased after Indeed’s PPC model and the emerging lure of programmatic, The Muse focused on employer branding, polished to a high fashion sheen. And you know what? It worked. But what has The Muse been doing lately? Well, buying things, actually. In 2017, they picked up Brand Amper, whose tools enable companies to collect data like employee sentiment by inviting employees to tell stories, including through a Mad Libs-like web app. Employers could use the tool to generate insights that they might want to use for their own marketing activities. PLUS – The Muse could use the tool to show employer attributes to jobseekers that might not normally be obvious. In other words, the acquisition allows The Muse’s clients to become more sophisticated about their employer branding without having to invest their own internal resources to do so. And this month? 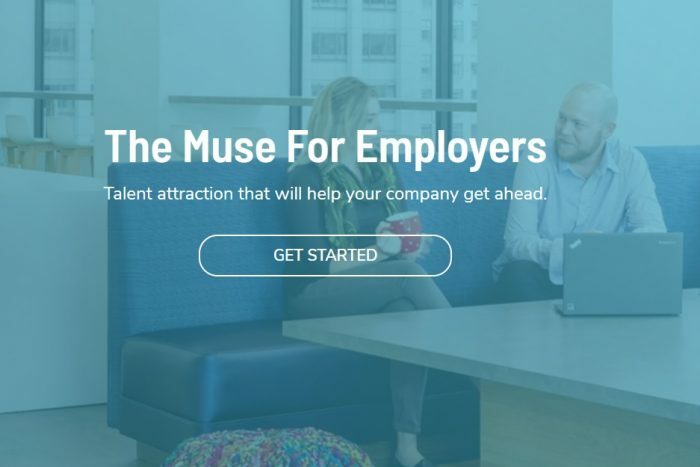 The Muse bought Talent Share, which allows companies to share candidates that they didn’t hire, but would recommend to other companies in the market for that talent. Interestingly enough, The Muse is planning to use just one primary piece of the software; the part that helps brands better understand from where candidates come, in other words, the “candidate journey.” Why? So employers can target where they spend their recruiting dollars. Needless to say, this feature also embeds The Muse much more deeply into the employer’s hiring process. The takeaway from The Muse’s story? Sometimes an extreme focus on one particular aspect of the traditional recruitment marketing offering – in their case, the employer profile – can be smart. Couple that with lots of attention to the candidate’s experience of the site, and then add in smart tools that help the employer AND embed the site’s services into the hiring process, and you’ve got a company that is both lucrative and growing. This article is republished from The Job Board Doctor. Jeff Dickey-Chasins is a veteran of the job board, publishing, and e-learning industries. Jeff was the original marketing director for Dice.com, growing it from $7 million to $65+ million in three years. He has worked with numerous job boards and HR-related sites over the past 20 years. His site can be found at JobBoardDoctor.